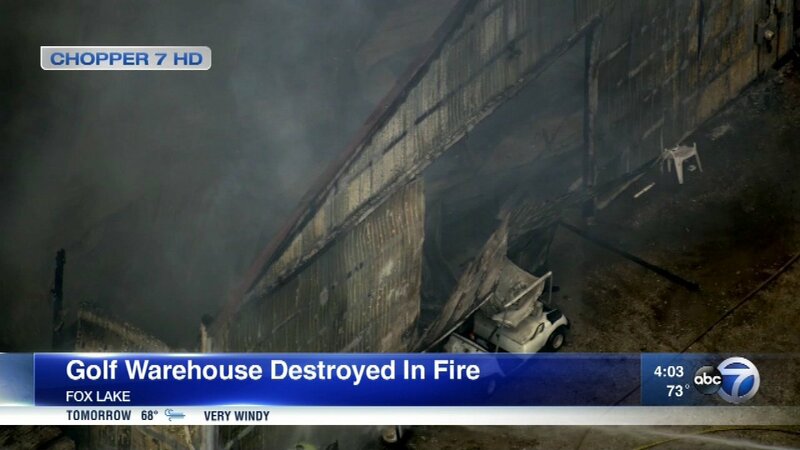 FOX LAKE, Ill. (WLS) -- A warehouse was destroyed Thursday morning in a fire in north suburban Fox Lake. It happened around 11:30 a.m. at the Lakemoor Golf Club. The warehouse contained golf gear, including golf carts.